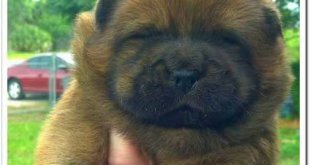 Juvenile cataracts are a common problem among many breeds of dogs, including Chows. Cataracts can be caused by heredity, toxins, trauma, infection, or diabetes. Breeders can eradicate the chances of juvenile cataracts by having both parents tested within one year of breeding. There are two types of juvenile cataracts which are of the dissolving or non-dissolving type. Cataracts of the dissolving type can be healed through time and the use of cortisone drops in the lenses. On the other hand, non-dissolving cataracts can cause total irreversible damage to the lens. Juvenile cataracts do not always lead to blindness. It depends on the severity, location, and underlying reason for the cataracts. Some dogs have them and experience blurred vision, but can still see basic shapes. If left untreated, cataracts can sometimes cause glaucoma. 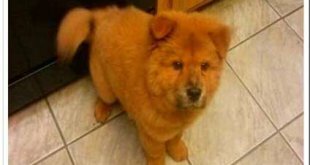 If your Chow will develop these cataracts, it will most likely occur between 6 months and 2 years of age; however, these kind of cataracts can occur up until 5 years of age. The most common symptom is visible by the naked eye, and this symptom appears as a milky film behind the pupil. This is also referred to as “clouding of the eye”. 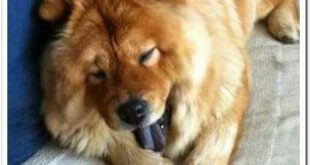 Taking your Chow to the veterinarian is the best idea. The vet will examine the dog’s eyes with a ophthalmoscope which can detect cataracts. The vet may also draw blood to check the dogs overall health, and may also perform an ERG that will ensure the dog’s retina functions properly. In some cases, dogs can live normal lives with slightly impaired vision, with no treatment required. In this case, the disease is present, but never worsens. The vet will prescribe Cortisone drops if the dog has the dissolving type of cataract. This treatment only works in young dogs with a dissolving type. Finally, surgery in the form of ultrasonic waves can be performed. The ultrasonic waves are used to convert the lens to liquid so it can be extracted via a small incision in the eye. Some doctors replace the lens with a plastic implant. It is reported that 95% of all surgeries for this cause are successful. 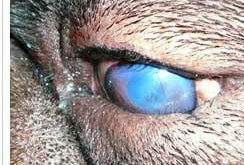 Dog owners should understand Cataract prevention.